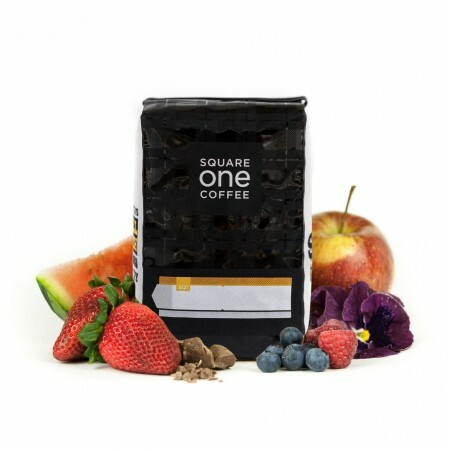 The Ethiopia Limu was carefully roasted for you by Square One Coffee. This naturally processed coffee was sourced from the growing region of Limu in Ethiopia and was produced by the Burka Gudina Estate at 1,800 meters. We love this coffee for it's its nuanced floral aroma and juicy body with fruity notes of mixed berries. I don't think I like this one as much as the first. Certainly less acidic. A bit of a sour taste on the back end with the fruit, which is why I don't think I like it as much. I'd be curious to try something next that is more nutty. An example of a recent coffee I loved is St. Nickerdoodle from North Pole coffee - just enough of a hazelnut flavor but not too much either. Have any ideas on a good next bag? I feel like I can't get my brew settings right with this cup. I've tried many combinations of coarser and finer grinds with more and less coffee but I feel like I am tap dancing around the optimal. After gathering some friends opinions on the matter, I've decided that it's just not an "in your face" kind of coffee. It's very well rounded in flavor, just more subtle than I was hoping for. This was an excellent coffee. I really enjoyed all the berry notes in it and found the coffee to be exceptionally juicy. I knew when I opened the bag and smelled the beans that this would be a good one. It had everything that I enjoy about a natural process. this coffee has a lot of potential, however the flavors are muffled and random. It wasn't a very consistent coffee. Overall, though it made a pretty good cup. Square One is one of my favorites, but this one didn't deliver. Seemed super underdeveloped. This is definitely a solid natural processed Ethiopian with some serious blueberry upfront in a v60! I'm enjoying this one quite a bit. Excellent natural process coffee with huge fruit flavor. This is an exceptional coffee. There have been maybe two batches of beans I've ever enjoyed more than this. Tastes like dark chocolate covered raspberries and blueberries. Silky, slightly chewy mouthfeel. Very, very happy with this coffee. This is dead on with my preferences. One of my favorite shipments to date. The juicy blueberry and fruit flavors almost jump out of the cup, intensify as they cool, and have been consistent across each of the brewers through which I've run it (Kalita, V60, Chemex). The natural process really suits this one, might even pass for a Yirgacheffe (my favorite) in a blind test. Well done Square One! Not sure why but this one I found trying to finish quickly as it just didn't do much for me. Wasn't bad just was sorta there. There is the notes of berries mentioned but the body almost fell flat for me. Could have been my grinder which I just replaced but even using my co-workers grinder it brought it up a bit but nothing much. This one was a little trickier. The initial cup seemed a little flat. But subsequent cups were much better with more fruit notes than initially noticed. That said, this coffee was more difficult for me than others to get a consistent cup. I loved how light the roast was. And the cups that came out well....which was most of them...were wonderfully fruity and floral. Very nice, round mouthfeel and pleasant floral and fruity flavors come together for a super drinkable cup in the morning and in the late afternoon. The flavor is a tad too fruity for my wife. Probably one of, if not, the best coffee I've had from you. The fruit notes are amazing balanced. Subtle and complex with the floral taste coming through more on the end of the sip. If I could get more coffee like this, I will be one happy customer. Really interesting Ethiopian that has an tasting notes. One of the better Ethiopians I have received. Tastes of blueberry pie are pleasant and has a nice acidity. Some big fruit in this cup. Fragrant and smooth throughout the cup. One of the better naturals I've had this year.